The original philosophy adopted over two decades ago is unchanged. 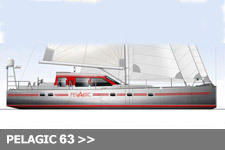 Reliability, robustness in all aspects, strong motoring capability, adequate fuel carrying capacity and simplicity of the systems are what defines the Pelagic concept. The purpose is to make long range cruising in remote areas a workable, safe and enjoyable experience. 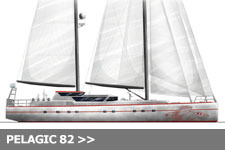 These designs within our stable are not ‘luxury yachts’ in the present genre. Luxury yachts are by definition fashion led, rather than function. They are inherently complicated by a natural desire of designers and builders, and not least of all owners to innovate. Possibly more significant is the perceived need in the marketplace for vessels that have more conveniences and accoutrements than the houses these same yacht owners live in. This somewhat overkill approach (to put it mildly) is now the norm in ‘yacht construction.’ What has resulted in the context of serious cruising with these overly complicated vessels in remote areas is less apparent. With more gadgetry and sophistication two things happen: Constant maintenance required by professionals beyond the capability of the sailing crews, not to mention the expense, meaning disproportionate downtime. Secondly, voyaging in this fashion leads to a certain alienation from ‘being at sea’ in the physical sense. The question begs to be asked then, why go voyaging in the first place, if you are trying to recreate your land based living arrangements? Our solution at Pelagic Yachts is one that goes against this trend. By designing and building clever, but simple vessels that are arguably more capable to cruise when going remote we are getting back to the basics or put in another way, to design and build a vessel with all that is essential, and nothing more. 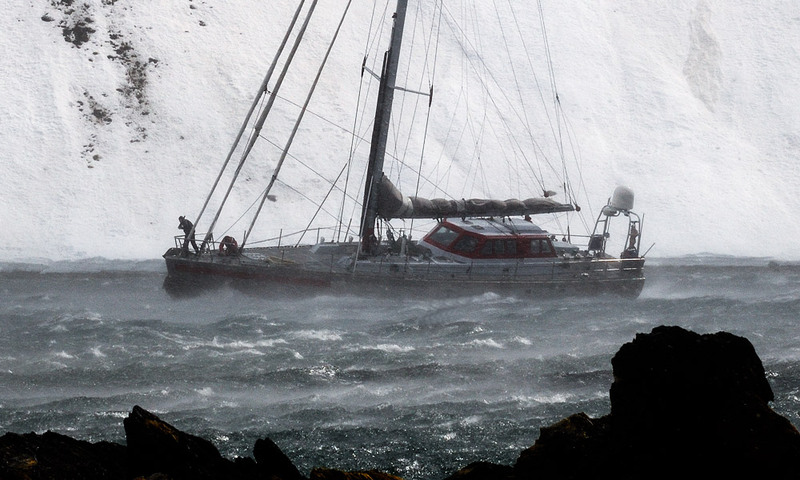 A seaworthy, comfortable, cozy and capable vessel without distractions – that is the answer. By sticking by this design and build philosophy, these designs then are cost effective solutions for people desiring to see the far corners of the world, where the sailing and the exploring is the priority, and the yacht merely a tool to accomplish that end. Function then becomes fashionable. 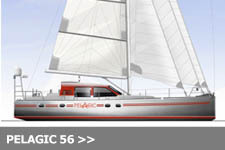 We believe by promoting these designs we will be opening up a market of potential clients who might not have considered entering into an ambitious sailing project due to cost considerations, simply because there was no alternative. 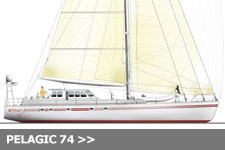 View a video briefing on Pelagic and Pelagic Australis by Skip Novak which explains the origins of the philosophy and rationale behind the Pelagic range of yachts.